Fresh off having agreed with the Minnesota Democratic-Farmer-Labor Party on a date for the 2016 Minnesota caucuses, the Republican Party in the Land of 10,000 Lakes is surveying its compliance with other guidelines in the Republican National Committee delegate selection rules. One new addition to the national party rules that will cause the Minnesota Republican caucuses to break with tradition is the new binding requirement the RNC tacked onto the rules at its 2012 national convention in Tampa.1 And that is not going over well in Minnesota. The hubbub now as then -- August 2012 -- was that the new rule was intended to halt the practice of non-binding precinct caucuses. 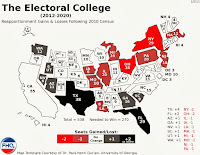 The Republican National Committee had and has a vested interest in the results of primaries and caucuses relaying to the candidates, campaigns and voters some clear indication of how the presidential preference vote in the caucuses transfers to candidate delegate totals. Not knowing how that actually looked in Iowa, Colorado, Minnesota and other caucuses states led to endless misinterpretations of the real-time nature of the delegate count at any given point in time. But that is the RNC perspective. 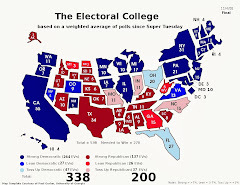 From the states' points of view the move not only alters the standard operating procedure for some of the caucuses states, but it is evidence of the establishment within the Republican Party overreaching into an area typically the domain of the states and negatively affecting the grassroots party building that non-binding precinct caucuses (with presidential preference vote) facilitate. It is that latter part that has apparently stuck in the craw of Minnesota Republicans. That has the Minnesota Republican Party looking to be granted a waiver by the RNC under Rule 16(f)(3) to return to business as usual with the caucuses.2 The bar for being granted such a waiver appears to be pretty high (and at least somewhat subjective). First, a state must demonstrate that it is impossible to comply with the new binding requirement. 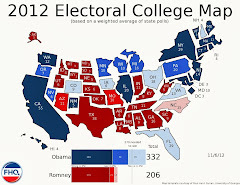 That seems tough when their are caucuses states -- even unorganized ones3 -- that can manage this. Furthermore, after the state has to jump through that hoop it must also convince the RNC that the waiver is in the best interest of the Republican Party. Now, "the best interests of the Republican Party" is not at all clear. It may also be that the RNC and a state party have different ideas about what constitutes the best interests. None of this is to suggest that the Republican Party of Minnesota will not be successful in its efforts to gain a waiver to continue with non-binding caucuses. That may yet happen. However, Minnesota may be a test case of sorts for the RNC. If they are granted a waiver, other non-binding caucuses states will/may be interested in following suit. That may undermine the new rule, and that likely will not be judged to be in the best interests of the Republican Party. ...at least not by the RNC. 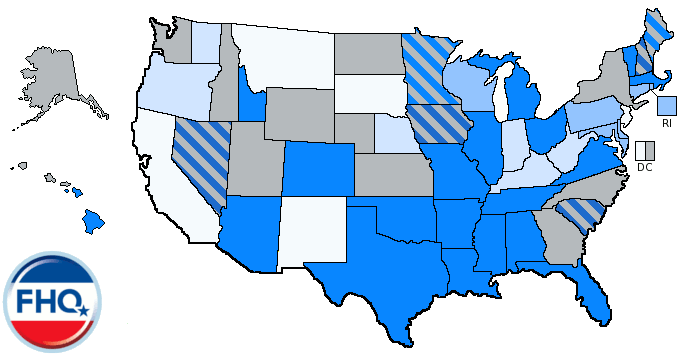 Rule 16(a)(1): Any statewide presidential preference vote that permits a choice among candidates for the Republican nomination for President of the United States in a primary, caucuses, or a state convention must be used to allocate and bind the state’s delegation to the national convention in either a proportional or winner-take-all manner, except for delegates and alternate delegates who appear on a ballot in a statewide election and are elected directly by primary voters. Rule 16(f)(3): (3) The Republican National Committee may grant a waiver to a state Republican Party from the provisions of Rule Nos. 16(a)(1) and (2) where compliance is impossible and the Republican National Committee determines that granting such waiver is in the best interests of the Republican Party. 3 Nevada Republicans may have had logistical issues with their 2008 and 2012 caucuses, but one thing they were able to do in both cycles was bind delegates based on precinct caucuses results. 4 Yes, yes. I know. The invisible primary may make that pursuit of delegates moot in the grand scheme of things. Yet, these rules do affect candidate/campaign behavior during the primary phase of election year and that is worth our attention.